This typical bedtime prayer was repeated often when I tucked my children into bed at night. After several nights in a row, I asked them if they had anything else they wanted to talk to God about. If I made suggestions, they were very open to adding them, but rarely initiated deeper conversation with their Maker. How could they praise God each day in a way that wouldn’t get rote or mechanical? I got a piece of construction paper, and we spent one night brainstorming things about God that were good. Powerful, Loving, Awesome, Holy. They had fun coming up with words about God. Then I asked them some of the names for God found in the Bible. With a little coaxing they thought of: Rock, Shepherd, Jesus, King of Kings. Soon we had filled the page with different ideas. I bought a cute white frame and hung the list up in their room. At bedtime they could each pick one of the things on the list to begin their prayer. This part turned out to be the most surprising. None of them could recall any bad thing they had done that day. I was floored. I had a long list for each of them fresh on my mind. I tried to hold back as long as I could. I turned to one of them, “What about hitting your sister today?” “Oh, yeah.” Then on to the next child, “Remember how you threw that fit and got in trouble this morning?” “I had forgotten about that.” They were all very willing to confess their sins to God and even excited that they had something for this part of prayer. They just needed some training and direction. This one comes most naturally when children pray. They were always grateful for the “wonderful day.” Now we tried to be more specific. What are we thankful for? Yes, we had trips to the park, friends over, and new toys to thank God about. However, we talked about some basic things that we often take for granted. Freedom to worship, our own copy of God’s Word, clean water, food, eyes to see, legs to run. Their tender hearts were telling their Creator that they had much to appreciate. They don’t always remember these blessings in day to day life when surrounded by ads and commercials tempting them to want more. However, at night when their hearts are soft, they often recognize God’s provision when a loving parent reminds them of all He has done. Monday – Missionaries. Here we wrote the name of two specific families we know and support. We prayed for their children and tried to remember to share any details about their families we got in regular prayer updates in their emails or letters. Tuesday – Teachers. Each child prayed for their own school teacher. We also put the names of their piano teacher, Sunday school teacher, or coaches. If they didn’t know what to pray, we asked God to give their teachers wisdom and endurance. Wednesday – Widows and orphans. We prayed for specific ones we knew. We prayed for Great-Grandma, a woman at church, and for little Alex and Robelina who we support through an organization that provides opportunities to sponsor needy children. Our son got to meet Alex last year on a mission trip to Guatemala. It was incredible for him to meet the boy we had prayed for on so many Wednesdays. Thursday – Those who don’t know Jesus personally. Each child had plenty of people who were school friends, neighbors, or extended family members that they hope they will get to see in heaven one day. It made the celebration that much sweeter when we saw a Japanese family we had been praying for in our neighborhood come to know Christ. Friday – Friends and Family. We listed out the cousins, aunts & uncles, grandparents, and each child picked one or two special friends. Living in Ohio with my family in Texas and my husband’s family in Canada, praying for family helps my kids feel more connected with people they may only get to see once a year. 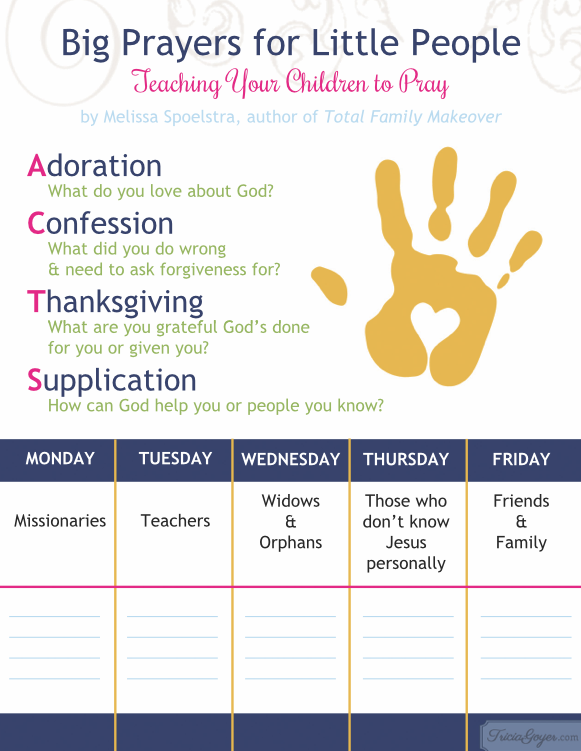 After we implemented our new approach to prayer, we found our kids’ prayer lives growing stronger. It wasn’t a perfect system. However, they are learning that prayer is talking with God about anything and everything. They are remembering who He is, where they fall short, what they are thankful for, and asking for God’s help for others. Even without looking at the lists on the wall, we’ve moved past talking generically about a “wonderful day” to deeper connection with Christ. We’re still working on that toothpaste cap though. 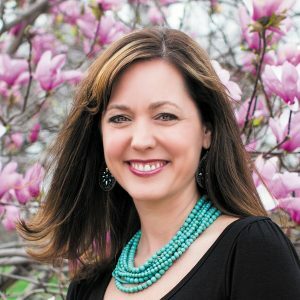 Melissa Spoelstra is a popular women’s conference speaker, Bible teacher, and writer who is madly in love with Jesus and passionate about helping women of all ages to seek Christ and know Him more intimately through serious Bible study. She is the author of several Bible studies and Total Family Makeover: 8 Steps to Making Disciples at Home. 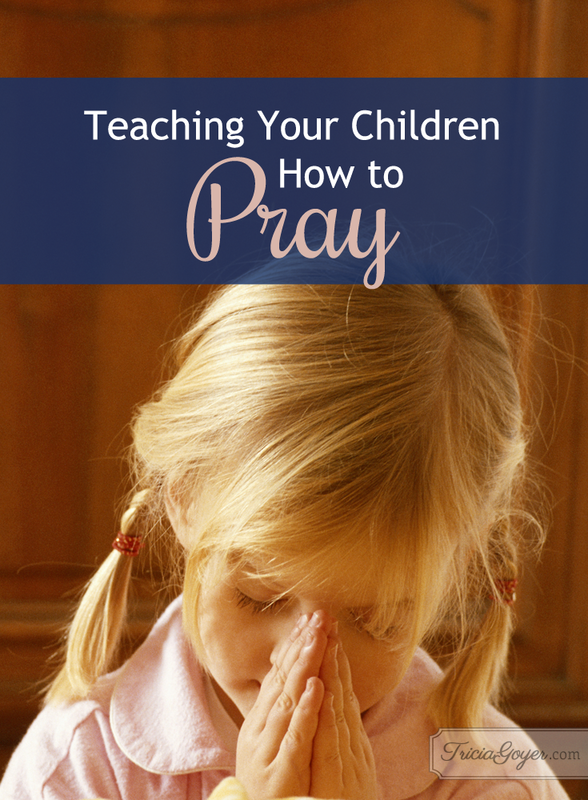 I helped to teach my cousins to pray when we were younger. We taught them prayers and that you could talk to GOD like a friend.